Sharon Bayliss: It's here! 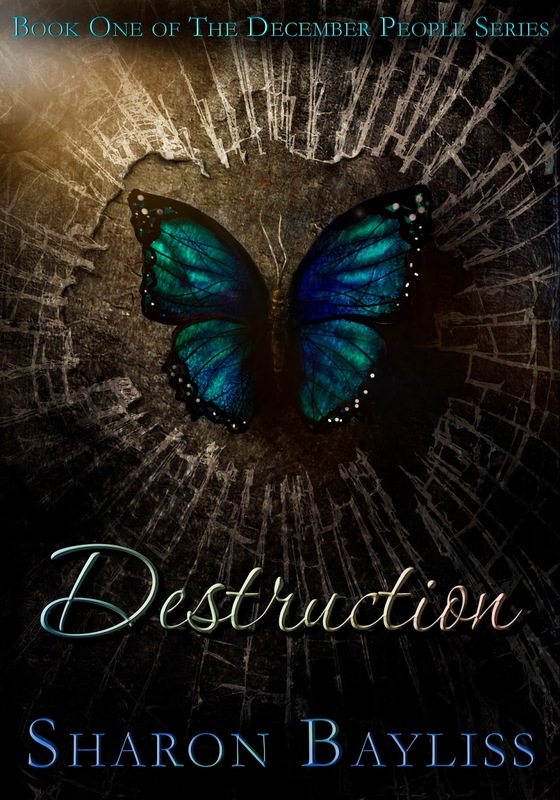 Destruction is now available! It's here! Destruction is now available! Hooray! The big day is finally here. Destruction, Book One in The December People Series is now available at all major retailers! I'd appreciate your help spreading the word! An independent family-owned bookstore. The ONLY place to buy signed copies! If you're buying a paperback, please buy it here. Shipping is only 99 cents until 4/19! David Vandergraff wants to be a good man. He goes to church every Sunday, keeps his lawn trim and green, and loves his wife and kids more than anything. Unfortunately, being a dark wizard isn't a choice. Eleven years ago, David's secret second family went missing. When his two lost children are finally found, he learns they suffered years of unthinkable abuse. Ready to make things right, David brings the kids home even though it could mean losing the wife he can’t imagine living without. Keeping his life together becomes harder when the new children claim to be dark wizards. David believes they use this fantasy to cope with their trauma. Until, David's wife admits a secret of her own—she is a dark wizard too, as is David, and all of their children. Now, David must parent two hurting children from a dark world he doesn’t understand and keep his family from falling apart. All while dealing with the realization that everyone he loves, including himself, may be evil. What kind of wizard are you? Get the blog badge! The submission window for #NestPitch is NOW OPEN!